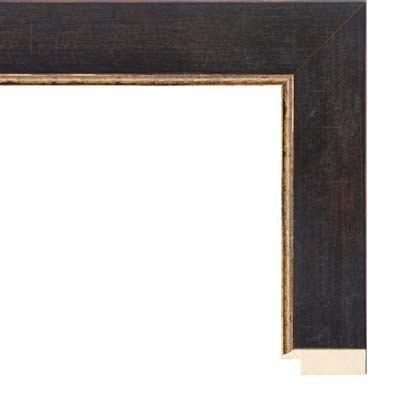 The look of this vintage distressed black and gold wood picture frame is neutral enough for most home interior settings, and might work especially well on a pastoral landscape featuring trees and perhaps a field. Of course, vintage maps and illustrations of battle ships and other sea vessels could also fit nicely in this frame, and old drawings of people and faces might also be an interesting match, such as prints of Leonardo DaVinci drawings. As an 8x10 or 5x7 tabletop framing option, this black and gold wood picture frame could work well with small family portraits, and also senior portraits and pet portraits. To select an easelback for tabletop display, click the “Art Securing Hardware” tab on your project page and follow the prompt.